Portable bathrooms have managed to carve their space in the highly competitive sanitization industry. These bathrooms are beneficial for house parties and commercial purposes. For example a job fair is being conducted by a company, and then they can rent out these bathrooms for better convenience of the people attending it. All you can do is rent a couple of bathrooms of different categories like executive, deluxe and three stars and can help your guests relax. Government Agencies – Portable bathrooms are very useful for government agencies. They can place these units outside their premises so as to facilitate the visitors. Even the luxury and three star ones can be installed for the officials. Municipalities – Movable bathrooms can be useful as they require zero maintenance by the users.Our team members maintain them giving a hygienic bathroom to all the concerned people. Construction – Construction sites are the ones, where even the actual toilets are under constructed. So it is very difficult for the workers and the engineers to search for the washrooms. 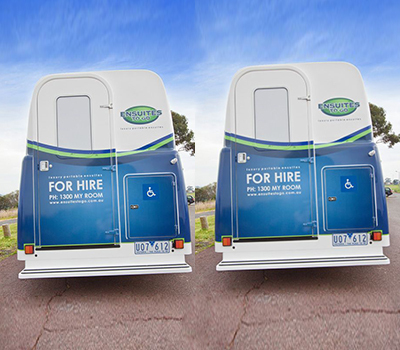 They can opt for portable ensuite to hire services offered by us to solve this problem. They can also opt for the bathroom with shower facilities so as to enable he workers take a hot shower before they leave from the premises. Factories – The factory premises washrooms are the most unhygienic and many female workers are compelled to use them only. Portable and hygienic toilets can solve this issue giving them hygienic facility.